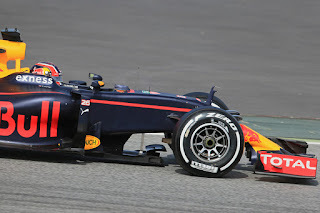 The question for Red Bull remains the same therefore, that of whither the Renault power unit. One equivalent, or perhaps even nearly equivalent, of the Mercedes or Ferrari would you suspect vault Red Bull right back into the thick of title contention. And now that the French concern is back as a constructor presumably it can only be positive for its level of commitment and Christian Horner indeed made positive noises in the close season to this effect. "It's very difficult to make predictions but Renault have focused on what appears to be the right areas over the winter" said the Red Bull team principal. "There's a confidence from them we haven't seen for some time...They appear to have made the right moves within their technical structure. They've got competent people in the right positions. They've brought in expertise through contractors and they appear to be moving in the right direction. The biggest problem for them is time. And engine development does take an awful lot of time." Daniel Ricciardo got a little off-message however by expressing the view that the unit "pretty much feels like we ended last season". The speed traps figures remained modest also. Another upgrade awaits apparently early in the year, and once again it feels like it can't come soon enough. Whatever is the case the consensus remained post the first test that Red Bull still is somewhere in the fight for third best team, with Williams, Force India and perhaps its sister team Toro Rosso, rather than reaching for the higher stars yet. But then again if the modern sport teaches us anything it is to be extremely wary of writing Red Bull off. As Mark Hughes mused during that Barcelona gathering, "this remains an extraordinary team". 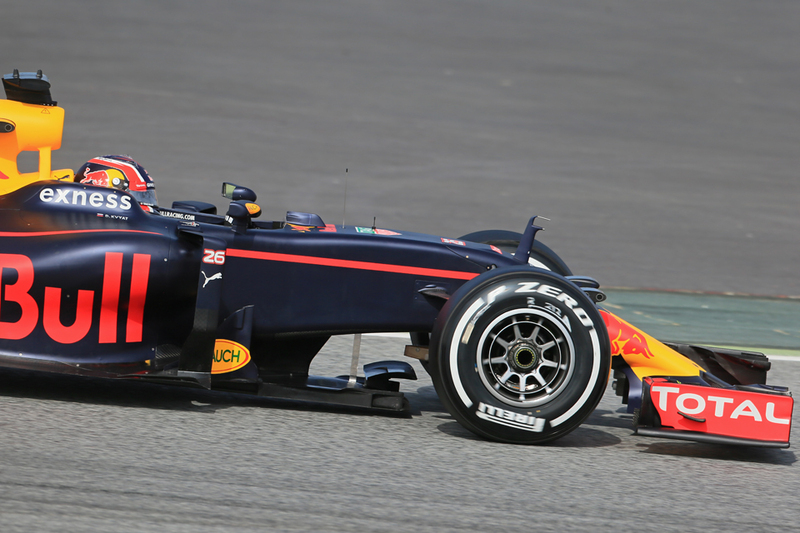 Yes last year's Red Bull, and more to the point its power unit, was desperately disappointing. Yes Daniel Ricciardo got out-scored by his team mate in among all of this. But make no mistake, the Australian's reputation, and star quality established so obviously in 2014, survived the campaign in tact. Few doubt that Ricciardo is a driver with it all - speed, commitment, consistency, precision, aggression, a sound racer's judgement, charisma, a brilliant feel for the tyres. He remains one of the best out there, capable you strongly suspect of championship runs with the right equipment. 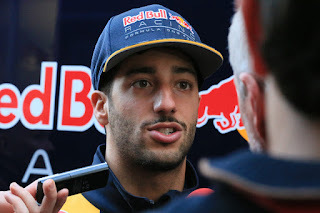 Again make no mistake, it was not Ricciardo letting the side down in 2015, aside from perhaps in Canada where he was left behind by his team mate Daniil Kvyat and out of the car said rather more than the team cared for about its struggle to find development direction. Indeed on the rare occasions that the Red Bull allowed him to fight he showed all of the attributes mentioned - particularly in the second half of the year when the car improved. A Gilles-esque run in Hungary probably would have brought victory without a late clash with Nico Rosberg, in Singapore he clung to Sebastian Vettel and might again have won without safety car interventions, in Spa he was brilliant and mighty in the track's sweeping middle sector, his fight through the field in Monza was superb also. As for the points deficit to Kvyat, well that wasn't really a reflection of how things went and is most readily explained by him getting the brunt of technical stoppages and other misfortune in the second half of the year when as mentioned the car got better. His 12-7 advantage in qualifying is a better indication of the lay of the land and indeed someone worked out that if you took away sessions where either driver had a technical problem or a different specification of car Ricciardo's intra-team advantage suddenly becomes 8-2... Sometimes his single-lap advantage was by several tenths. Sadly for him it looks like the first part of 2016 will be more of the same as the Renault power deficit to the best remains. But one hopes, and not just for his sake, that he gets the machinery required before too long to do himself full justice. F1's is a life lived on full fast forward compared with that of us everyday Joes. Perhaps even compared with those competing in other sports. 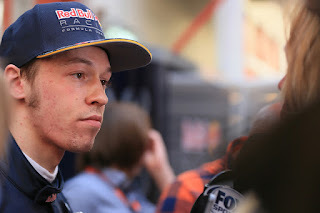 Rewind a mere 12 months Daniil Kvyat had just turned many heads in a fast and confident debut year at Toro Rosso, and thanks in part to circumstance he was now getting his break at the Red Bull big team. But it rapidly went south - both pre-season testing and the early rounds were trying for him. Some of this reflected bad luck by not all of it did. And equally suddenly those driving at Toro Rosso in his stead - one of them in particular - were the ones winning the admirers. Sure enough Kvyat's place was very quickly under pressure, indeed the ubiquitous Helmut Marko fired a public shot across his bows as early as the Spanish round in May. He did effect something of an upturn after that and by the end of the campaign he'd actually accumulated more points than team mate Daniel Ricciardo. But as outlined above that outcome was rather flattering to the Russian. There were very good drives by him though - Monaco on his way to fourth, Canada where he took Ricciardo to the cleaners, a fighting race in Spa, Mexico where he looked well on for a podium result until the safety car rather diddled him. Yet things remained rather patchy nevertheless and he added two large crashes before the year was out - qualifying in Japan and the race in Austin - which both looked down to little other than driver error. Perhaps the pressure was telling. There are aspects of Kvyat that count for and against him, In the credit column he is one possessed of extraordinary steel and determination, as well as is exceptionally industrious and analytical - exactly what you need to prevail in the sort of predicament he's currently in. But also it is said by those close to him that he has an aggressive driving style that needs all underneath him to click to get the best from it, which may go some way to explaining his apparent inconsistency. Perhaps more than anyone Kvyat simply must deliver in 2016 and pronto. There is a talent there but he must quickly find a way to extract it with much greater regularity.